I just want to share about the release of a new book on Industrial Engineering topic. As you see in the above image, the book is titled as Industrial Engineering in Apparel Manufacturing: Practitioner's Handbook and authored by Dr. Prabir Jana and Dr. Manoj Tiwari. I am reading this book right now and completed few chapters so far. I loved the content of this book and in-depth theory coverage. 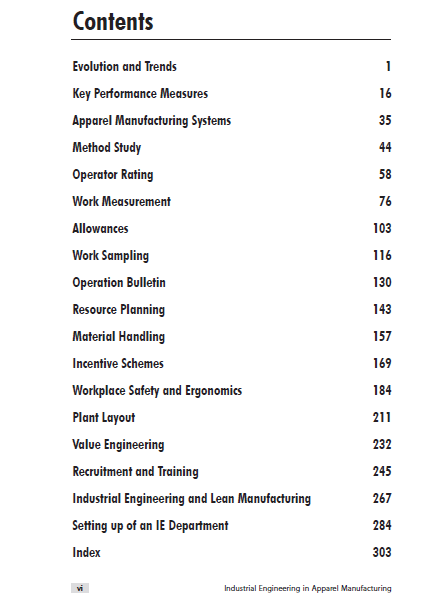 In this book, authors have covered all the essential industrial engineering subjects (related to apparel manufacturing) that we practice on the shop floor. Subjects are explained with examples and calculations where necessary. You will get the flavor of the current industry practices when going through the chapters. Here are the book contents. 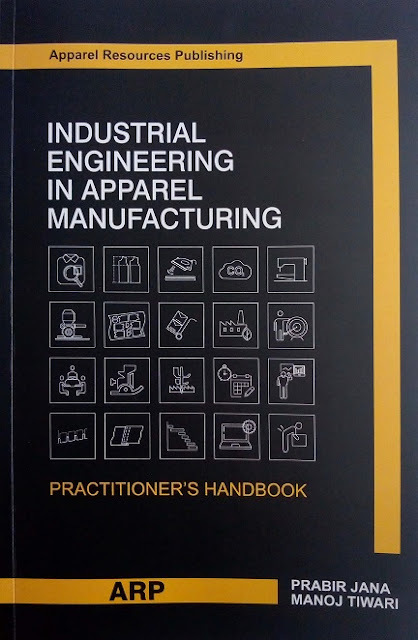 Apparel industrial engineers, students and production managers who want to learn more and enhance their knowledge on industrial engineering and production management can read this book. Garment factory owners can gift this book to their IE team. The publisher has added industry practices and views of many managers from the garment industry at the end of each chapter. This is a value addition to this book. Dr. Prabir Jana is a Professor at NIFT, New Delhi (Fashion Technology Department). He was my teacher at NIFT. Dr. Manoj Tiwari is an Associate Professor at NIFT, Jodhpur. Manoj is my friend and was a classmate at NIFT. What happens in the garment factories - we have industrial engineers, they are trained on the job or/and done IE course before entering the industry. But nobody has an industrial engineering book that they can refer in need. Apparel manufacturing industry was expecting such book for a long time. This book will full fill the knowledge gap. Thanks to Dr. Prabir Jana and Manoj Tiwari for writing such an informative and valuable book. This book is available on Amazon store. I got one copy of this book from Dr. Prabir Jana as a gift. Thank you, Jana sir. The useful and valuable book on Industrial engineering for garment industry professionals.